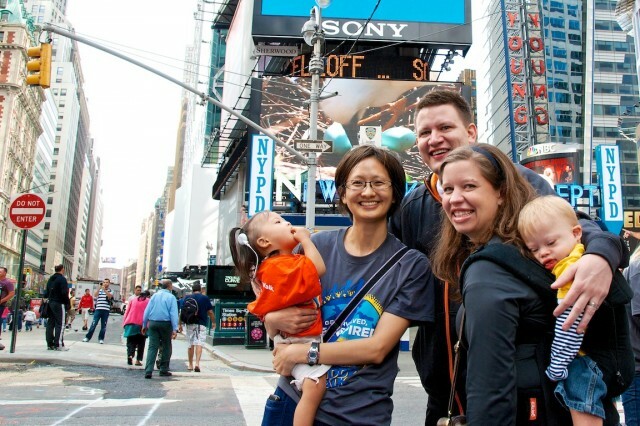 Noah Makes An Appearance On The 2012 Times Square Buddy Walk Video! 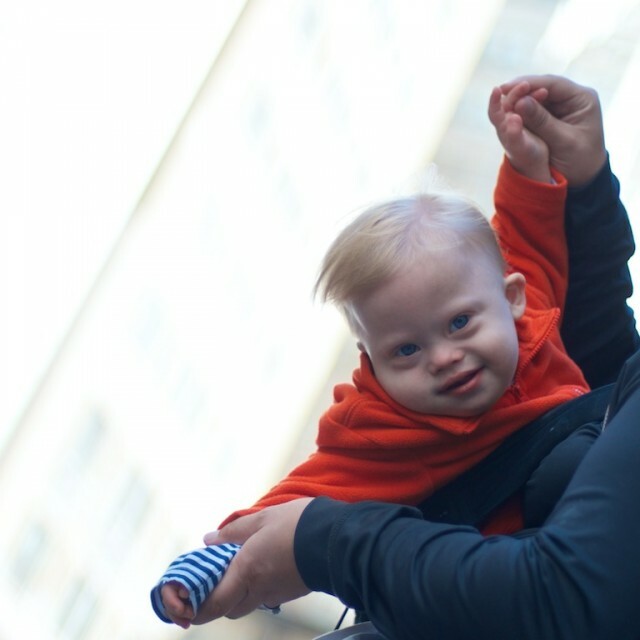 You are here: Home / Family / Our 1 Year Old Travels To New York City As A Down Syndrome Advocate! 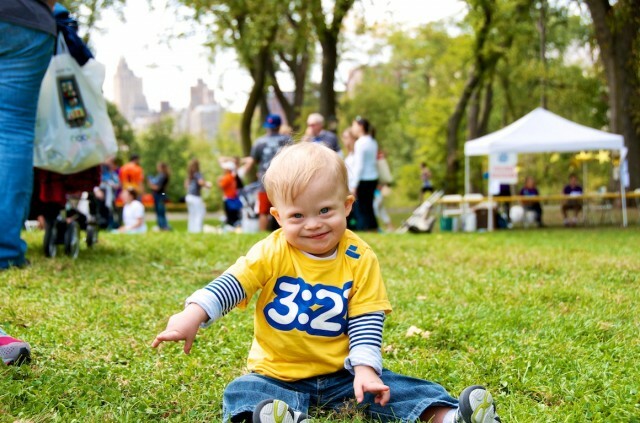 We were excited to learn that the National Down Syndrome Society wanted to feature our little boy’s picture in a special video to be shown in the heart of Times Square to kick off the New York City Buddy Walk, and help rise awareness about Down syndrome! All smiles during the interview! 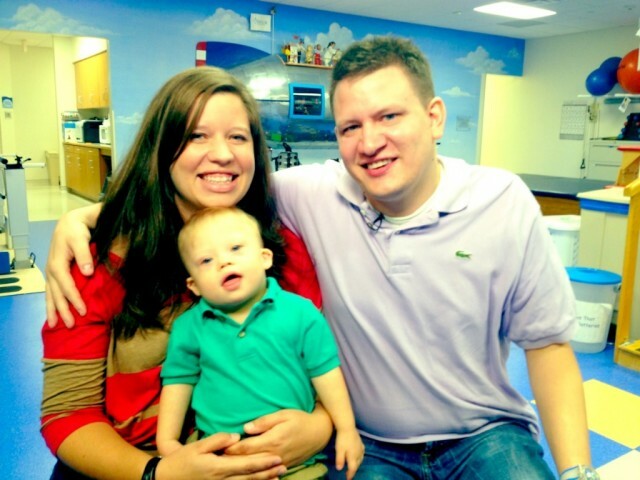 A few days before we left for NYC our local NBC affiliate came out to Our Children’s House At Baylor (where Noah receives his various therapies) to interview us about our story and our upcoming trip. I thought they did a great job with the interview, and was glad they got some footage of Noah working hard at one of his occupational therapy sessions. Hamming it up for the cameras during occupational therapy! I’m thankful for news organizations like NBC that take the time to tell stories worth telling. I hope more of the mainstream media will devote airtime to telling stories of life that give people hope and encouragement. 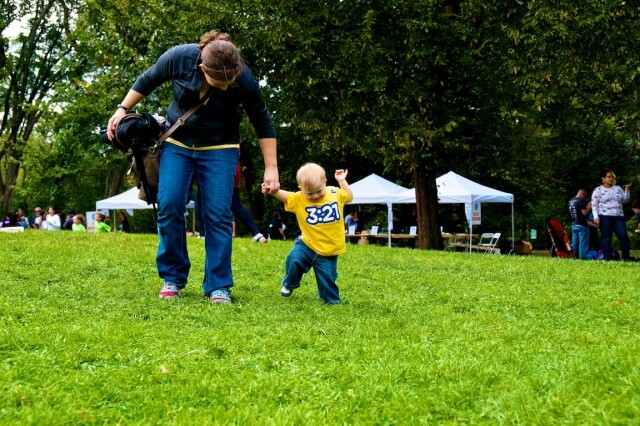 By the way, I think Noah did a great job on camera (for a one year old!) I’m guessing that’s because he’s had a lot of practice! 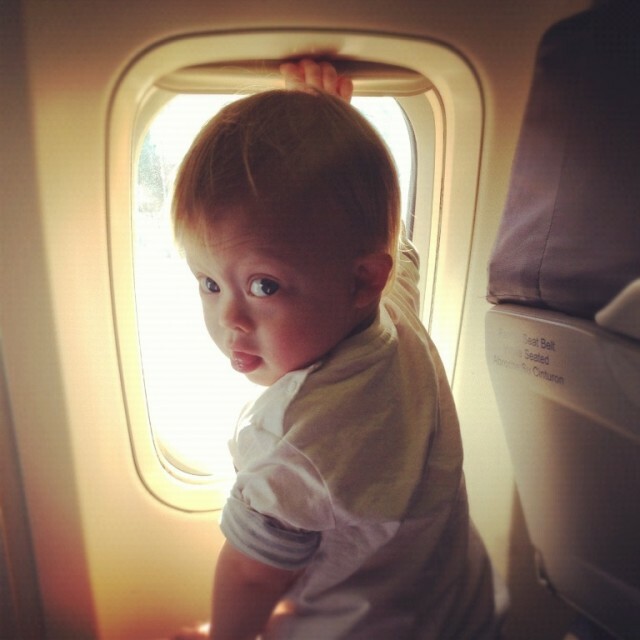 Noah’s been on a lot of plane rides in his short, one year old life, and generally does very well on them…but not this time! 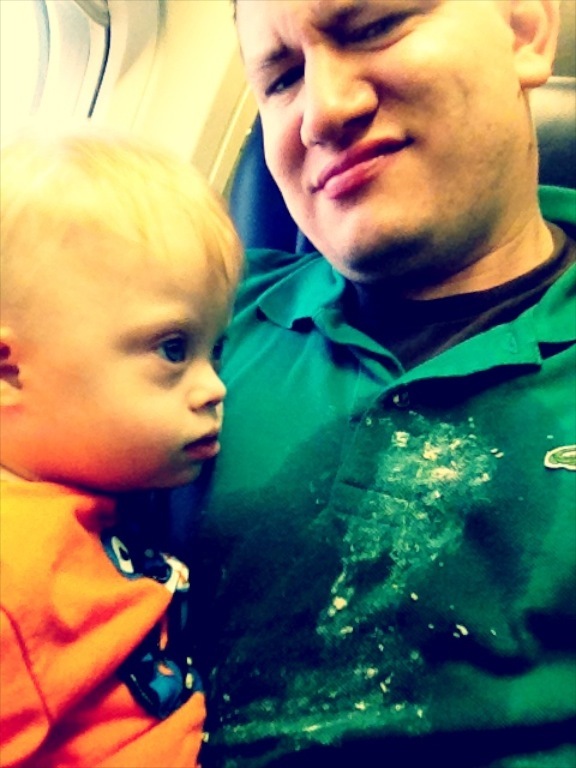 I’m not sure if we were having a bumpy flight, or he had an upset tummy, but either way he threw up on me in mid-flight. Yelp. That’s baby vomit on my shirt. 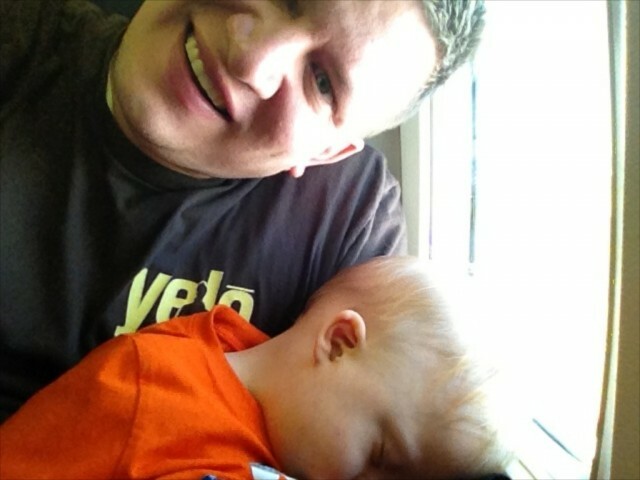 I have to admit, having my child vomit on me while on a crowded and cramped airplane was really, really gross! But…I also have to admit that after the initial shock of being puked on was over (and almost throwing up myself) I was more concerned with how he felt than the small (and texture!) of his lunch all over my shirt. There’s no sadness quite like seeing your child sick and not being able to do anything about it. Glad I had on an undershirt! Hanging Out In New York City! 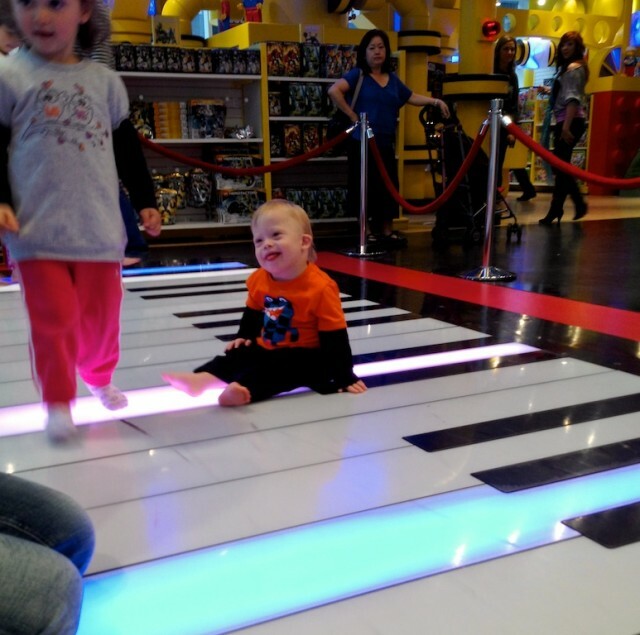 Stock up on some awesome candy from the FAO Schwarz candy bar…. 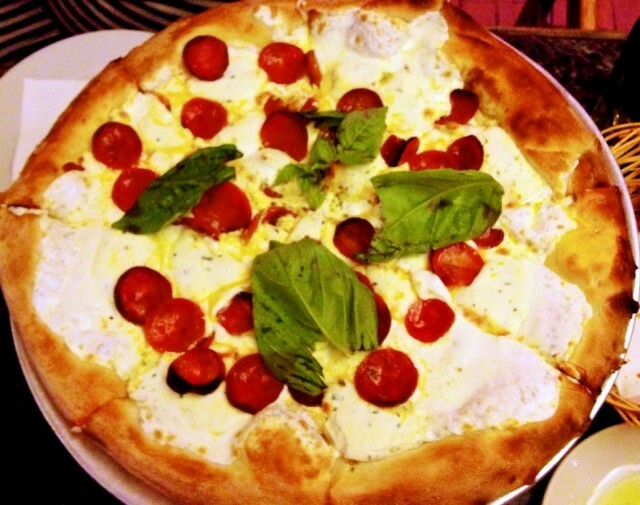 Yes, it’s as tasty as it looks! What’s better than a free story time! 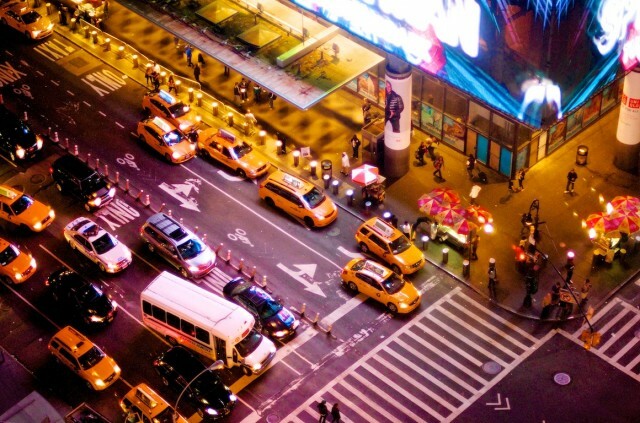 And hang out at 30 Rock and Time Square! 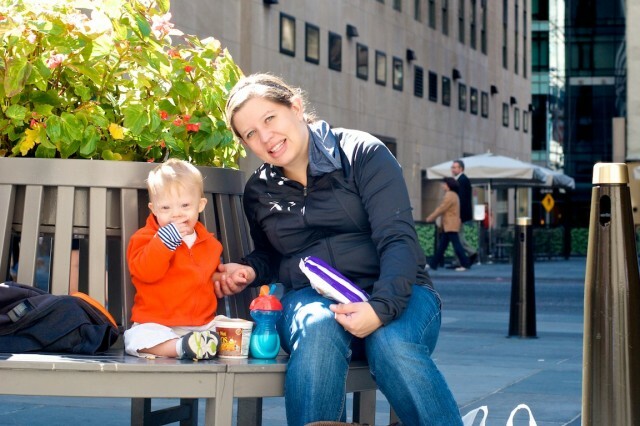 Grabbing a snack at 30 Rock! 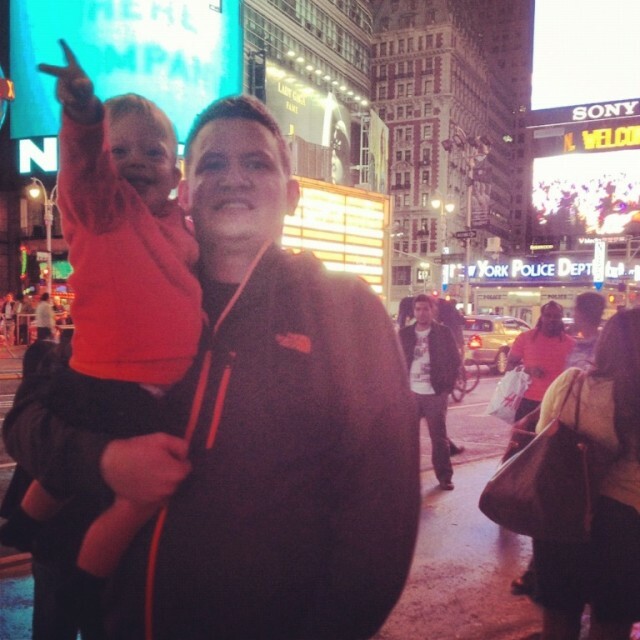 Hanging out with my boy in Times Square! 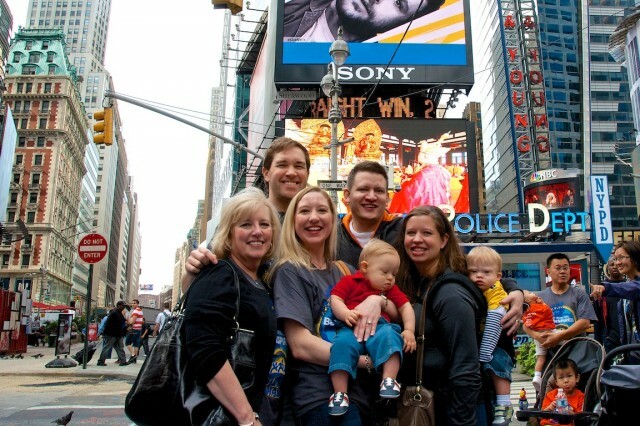 After a fun day of hanging out in the city we were ready to see what we came to NYC to…Noah’s sweet little face on the big screen in Times Square. 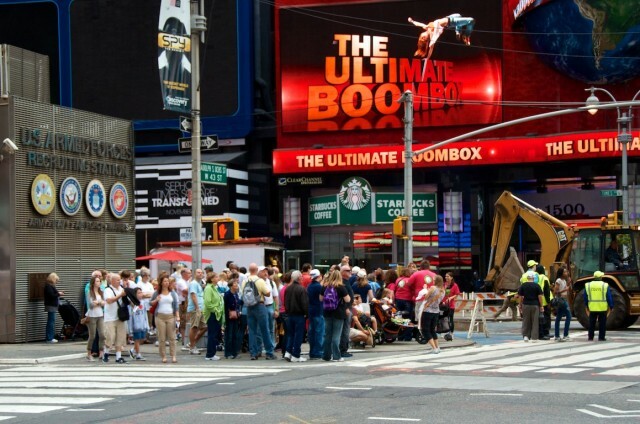 After waking up and grabbing a quick snack, we headed down to Times Square to check it out! As we walked up to the street to the sport where the video would be playing we could already see a crowd gathering, which was pretty cool! After waiting for a few minutes, the video finally started to roll! It was fun hearing all of the families and friend scream and yell when they saw their child’s picture displayed on the big screen! It was fun watching everyone watch their loved ones! And then the moment we were waiting for…Noah’s adorable little mug up on the big screen proudly proclaiming to the world that all life is valuable! I love this kid. 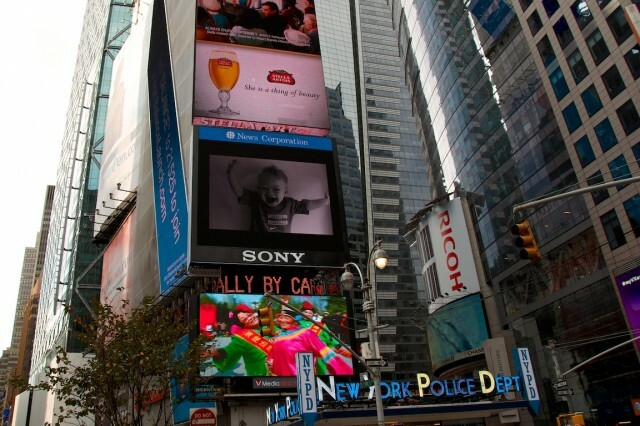 That’s our boy on the big screen in Times Square!! After the video was over a few different families that follow our blog recognized us and came up to introduce their self. 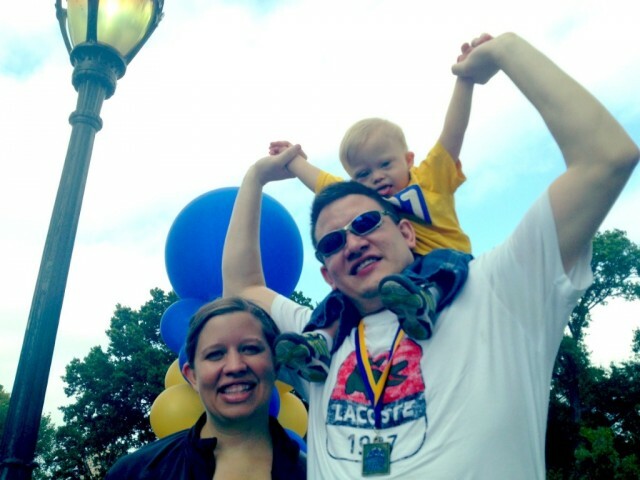 What a fun treat it was for us to meet other families who have been encouraged by our little boy! It was our privilege to meet them and we’re so glad they came up and said hi and allowed us the privilege of meeting their family! 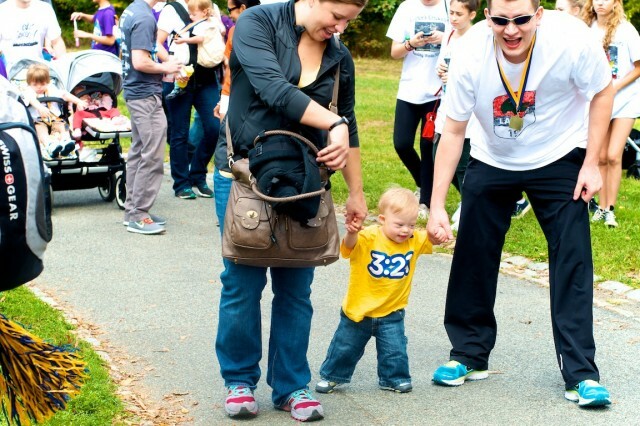 Crossing The Finish Line At The New York City Buddy Walk! 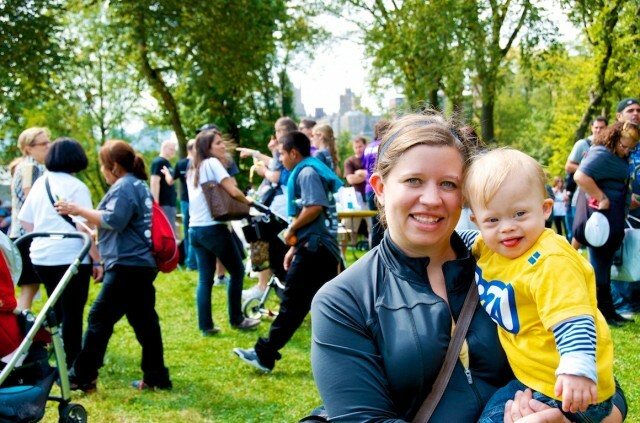 After watching the Times Square video and making some new friends we grabbed a cab and headed to Central Park for the Buddy Walk. 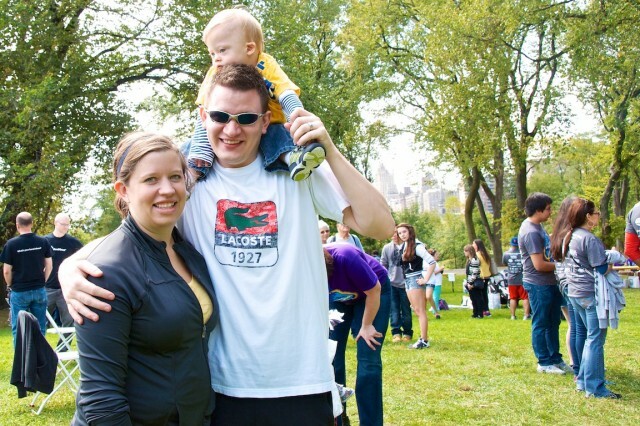 Although we’ve been to our local Buddy Walk before, this was our first Buddy Walk in New York, and it was awesome! 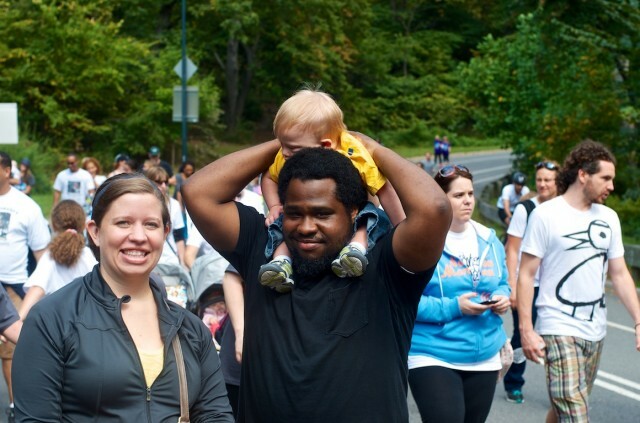 Without a doubt the best thing about this Buddy Walk was seeing our little one year boy walk across the finish line all by himself! It was a proud parenting moment for sure! The Buddy Walk After Party! After crossing the finish line we hung around for the after party, which was a ton of fun! It was seriously a huge dance party with friends, music, dancing, and an appearance by Noah’s Buddy, Chris Burke, aka Corky from Life Goes On! We always enjoying getting to spend time with the Lyons when we’re in New York. 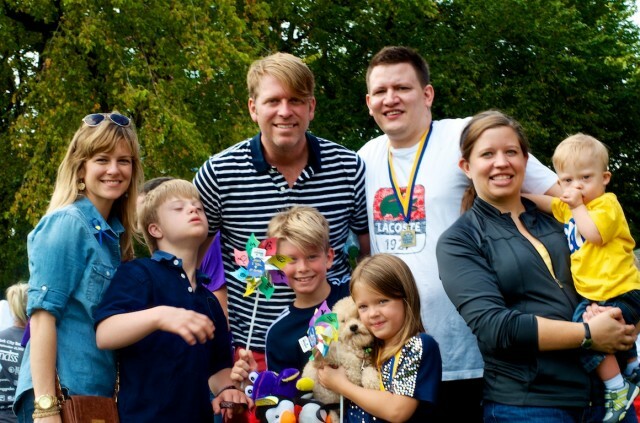 They have an awesome family, and a very cool son, Cade, who also has Down Syndrome. And….if you’re into good books I would highly encourage you to pick up Rebekah’s book, “Freefall To Fly: A Breath Taking Journey Toward A Life Of Meaning” as soon as possible! Hanging out with the Lyons! 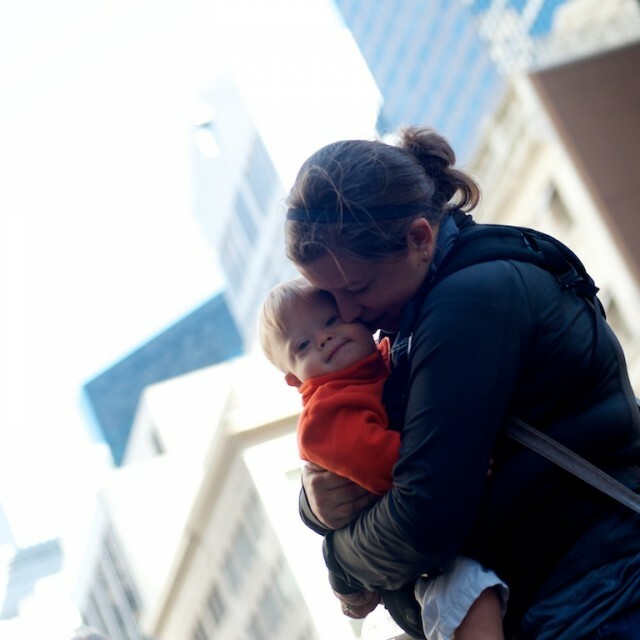 My wife has already written about why she cried when she met Rachel Colman for the first time, but long story short, she has played a large part in helping our little boy (and many others) learn to talk! So it was a very special moment for both of us to be able to meet her, and tell her thank you for all she has done to help our little boy learn to communicate with us. If you don’t already know about Baby Signing Time please take a second to read this post, then grab disk one as soon as possible! Trust me on this one! After a very fun trip to New York we headed home with a full heart. We’re so proud of our boy and how he is literally changing lives all over the world. We had a great time seeing many of our old friends, and making some new ones. 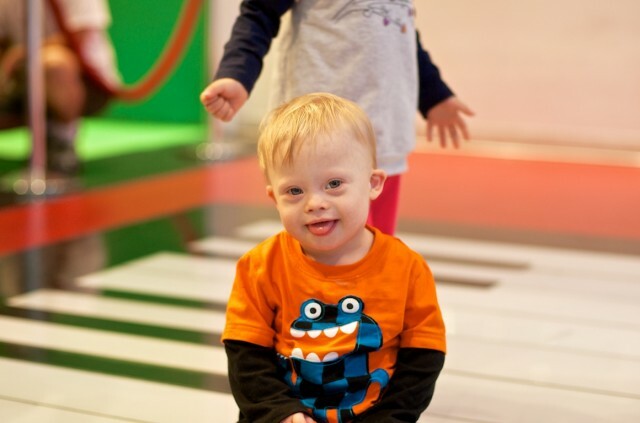 Thanks to everyone who reads this blog, comments on our Facebook page, supports our mission and helps us spread the word to the world that Down syndrome is ok. That all life has meaning, value, and purpose! It’s our honor to fight the good fight with all of yout! We’re so proud of this kid! What a wonderful experience! I should know, because my little sister and I had the same. 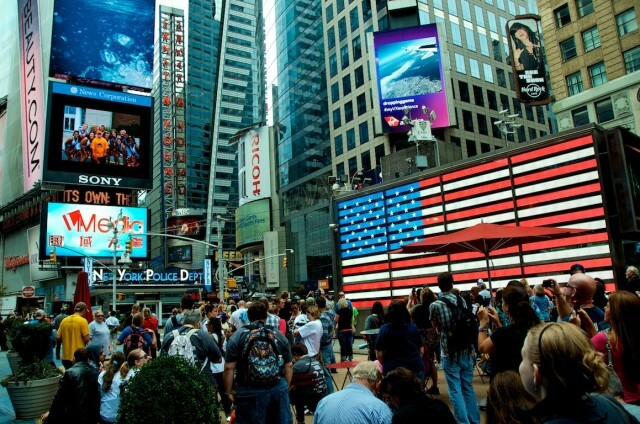 I know what it’s like to see your loved one on the Panasonic screen in New York City’s Time’s Square. Talk about being proud! Very cool! Thanks for your comment. 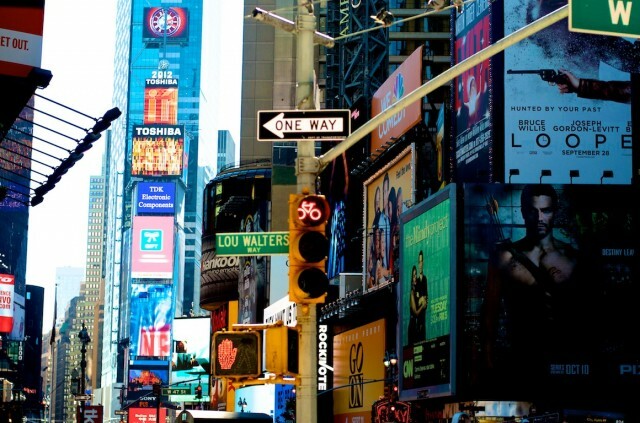 What year was your sister in the Times Square Video? Looks like you had a great time. Happy for you. We did indeed! Thanks for the comment. Thank you for sharing this wonderful time you had, with us. I’m posting a picture of my beautiful grandson James. He’s 19 months and just starting to crawl. He’s just had his first official pair of shoes! Awesome!!! Thanks so much for your comment and for sharing a picture with us. Your grandson looks like a ton of fun! Thanks for the encouragement! We appreciate you! 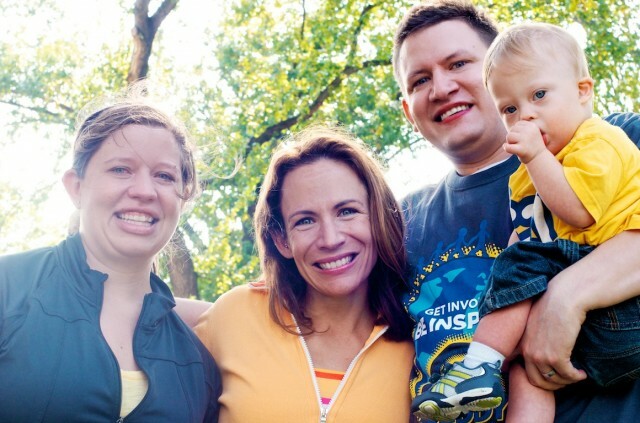 Noah is an incredible young boy who is not afraid to overcome anything. 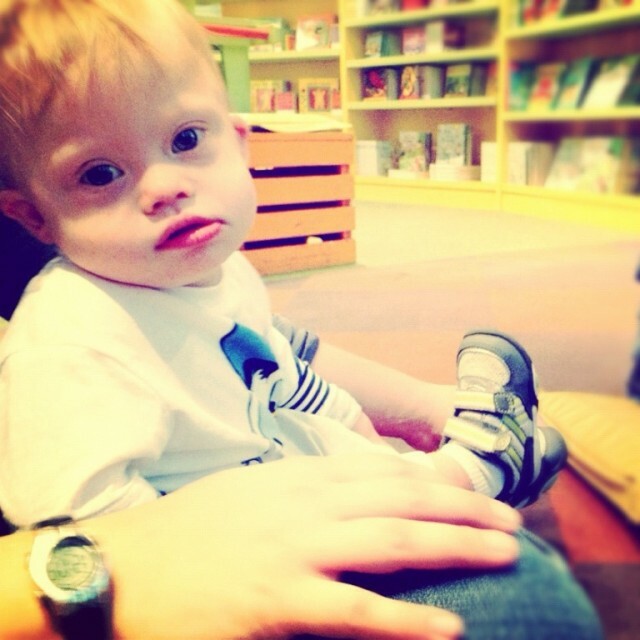 By following your post, I have noticed that he is probably one of the happiest little boy I have ever seen – mainly because he is supported by two amazing people who have a crazy amount of love for him. He is also quite lucky to go to New York for the second time and by the looks of it, he had an amazing time and I could not be anymore jealous. Best of luck to you and your family. 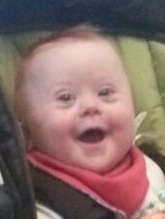 I follow your blog daily and I love seeing Noah, He has such an infectious smile he always brightens my day. He is a very smart and active young boy. 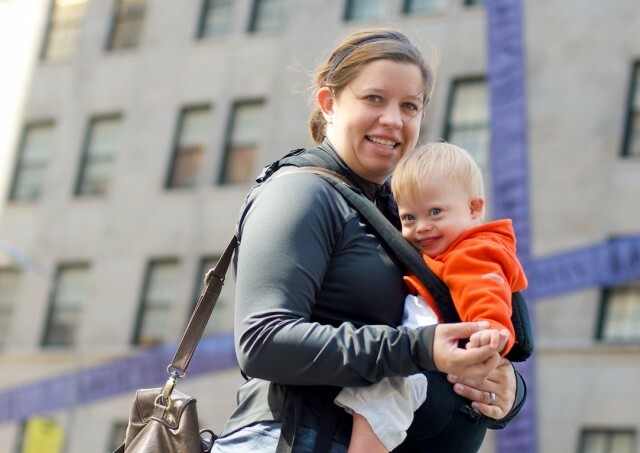 This trip to NY was amazing for your family as well as other families that have a Down’s Syndrome Child. 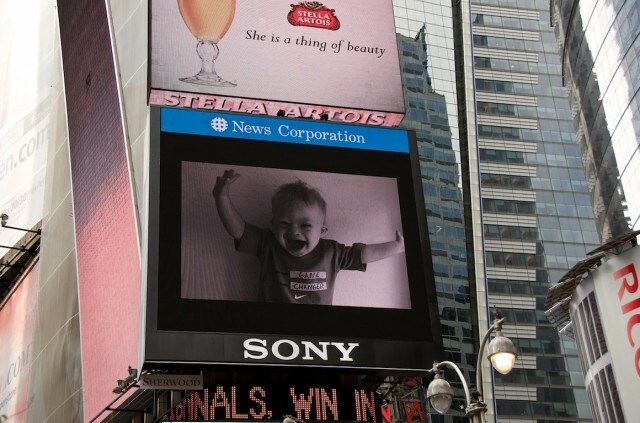 I love all the pictures and how amazing that a one year old boy is on the big screen in NYC? He is a star. He is a loving child. You are a great family.